As the need for intensive English language programming diminishes, IELP providers need to differentiate themselves from language courses by emphasizing the cultural and contextual aspects of US-based study. As technology makes English language instruction a cheap and easy option for international students, traditional enrollments for Intensive English Language Program (IELP) courses in the United States are in decline. However, as Martyn Miller points out, IELPs provide so much more to students than grammar. In this interview, Miller discusses the challenges facing IELPs, and introduces the innovative way that EducationUSA Academy is working with American university campuses to develop new models for international language instruction. 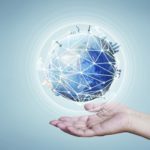 The EvoLLLution (Evo): How has the global IELP market evolved in recent years? Martyn J. Miller (MM): In the past two years the demand for traditional college- and university-based intensive English language programs has diminished greatly. There are several reasons for this—changing global markets and international political challenges come to mind—but most importantly, it’s because English language instruction has improved greatly throughout the world. It no longer has to be offered only in English-speaking countries, and it no longer has to cater exclusively to university students. As a result, we’ve had to shift our focus. When we faced declining enrollment in the past, we responded by approaching new geographic markets—when the Asian financial crisis hit in the late 1990s, for example, we started recruiting more students from the Persian Gulf; but given the proliferation of language programming in international markets, that approach is no longer viable. Today, we’re addressing declining enrollment by developing new language programming that meets students’ needs beyond simply learning English. These new programs draw on the cultural aspect of international English language instruction and prepare students for American academic environments. 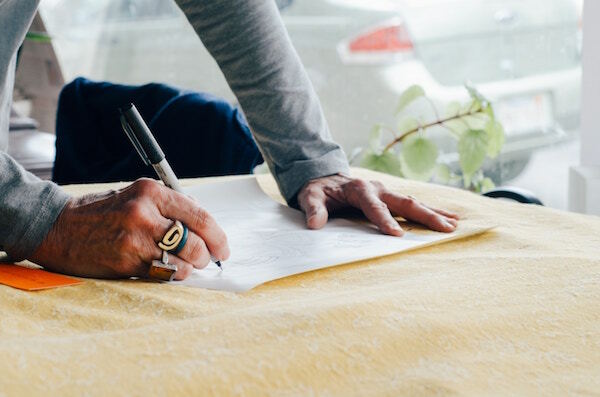 These programs, which we call “short-term programs,” focus on strengthening the English language skills students learn in their home country by providing the cultural and academic context in which they’ll be using those skills. While the traditional intensive language program model will not be very viable for much longer, these short-term programs will continue to grow over the next few years. Evo: You mentioned that one of the challenges facing IELP providers in the US is the fact that English language education abroad has improved so drastically. What are some of the other challenges that you and your colleagues are coming up against? MM: The current federal administration has implemented new procedures and policies which potentially make it more difficult for international visitors to attend intensive English language programs in the United States. In the past, one could go to a consulate or an Embassy and apply for a visa for language instruction without too many problems. Now, unless you have an admission to a language program that is tied to a formal US university admission, the chances you have of receiving a visa are lower. Federal government policies do have a serious impact on language program visas. At the same time, other English-speaking countries are undertaking very strong recruiting efforts, particularly in Australia, Canada and the United Kingdom. Recent evidence, in fact, demonstrates that both Canada and the United Kingdom have increased English language training enrollments within the past year. Evo: You mentioned that many language courses are revising their approach to programming. How can IELPs in the United States before more student-centric? MM: Traditionally, IELPs have not listened to students. We’ve told them, “This is what you need,” rather than asking: “What do you need, and can we provide it? These questions don’t only pertain to the student. The student’s agent, the university, and parents are also very much a part of the equation here. At Temple and other universities, we’re finding that the new market for language programs is increasingly made up of high-school and university students who recognize that coming to the United States for a three- or four-week experience will help them prepare for a longer-term stay in the future. Again, our aim for these students isn’t necessarily to teach them English, but to orient those students to what life is like in a US academic environment. These programs aren’t only for university-level students. Temple participates in a program called EducationUSA Academy, which brings high school students to the US for three- or four-week programs. These programs balance English language courses—meaning English for academic purposes—and “special interest” courses, which prepare students for an American university experience by offering programming based on a wider context or concept. In our first year offering the EducationUSA Academy program at Temple, for example, we focused our special interest programming around art. Not all the students coming were art students, but they found that contextualizing their English language learnings around visual art made it easier for them to understand and improve their English skills. Last year, the focus was on the culture and history of Philadelphia, which again, provided a touchpoint. Students understand the topic, and that makes it easier for them to absorb English than a traditional reading/writing/grammar course would. EducationUSA Academy was started three years ago at the University of Colorado and Syracuse University, and now eleven schools in the United States offer EducationUSA Academy programs. These programs appeal to international students and parents because they’re relatively inexpensive, offered on a university campus, and vetted by the US government. Taking that model, we’ve worked with our international partners to create similar programs based on what they want for their students. For example, University XYZ in Seoul, Korea, has 20 students they want to send out each semester for a study-abroad experience. They want it to be at a university; they want their students to get a little bit of English, but they also want their students to learn within a broader context. For University XYZ, we created a program called American Culture At Temple and, just as the name sounds, it focuses on improving English language skills while exposing students to American culture and history. We’ve found that the EnglishUSA Academy model is successful not only here at Temple but at other universities as well. Enrollments in these short-term, culturally intensive programs are offsetting the empty seats in the traditional language programs. By contrast, some schools around the country aren’t picking up on the special programming concept. They’re trying to stay within the traditional language program model, and it seems to me, based on anecdotal evidence and conversations with colleagues, that their enrollments are continuing to fall. Evo: How important is the student experience in getting these learners to apply for a degree program at Temple once they’ve graduated from high school? MM: That is the intent, of course. We hope that these students have such a good experience at Temple in their three weeks here as high school students that they enroll as university students, but I can’t definitively say that’s the case. It has only been two years since we started offering these programs to sophomores and juniors, and I don’t know whether any have converted. I do know that students have sent follow-up emails to our language programs to say, “Yes, now I’m thinking about studying in the US and, yes, Temple is one of my options.” Given the newness of the program, though, I can’t definitively say that has happened yet. Evo: In terms of recruitment, IEP programs need to consider not only the student’s expectations, but also the expectations of academic advisors, agents and parents. What aspects does Temple need to deliver to those other audiences to make sure that they’re satisfied with the experience so that they want to send their child back as a university student? MM: I am very happy to say that all I’ve heard from students and parents has been positive. The feedback we receive are comments like, “My daughter grew up quickly in the four weeks she was there,” or “My son was so quiet when he left home; now, he is confident and he speaks for himself.” Of course, I don’t think that Temple alone is responsible for those growth experiences; international travel makes that possible. But I would like to say that in giving these high school students a university experience, Temple is empowering them to realize what’s possible in a way that they might not have known before. This sort of feedback is consistent across all 11 EducationUSA Academy campuses. We had one student who had to go home because she fell ill, but even in that case the parents were happy because we were with the student from the minute she got sick until her parents came to take her home. That’s an extremely important part of a successful student experience: The university is truly there for students. This new language program population demands more time, attention and care than traditional IEL students, and programs need to respond to that. The expression that I’ve heard used before which might apply is “concierge service.” Language programs haven’t always provided concierge-style service, nor do most academic institutions, but the fact of the matter is that the students attending these short-term, preparation-style English language programs are in high school, and they can’t be expected to fend for themselves in the same way that older students can. Thinking in terms of the concierge experience is a way of realizing how much care these students need and should be given. Evo: How important is the administrative back end to delivering the concierge experience the modern IELP learner is looking for? MM: This is where the traditional language program administrator has to change his or her mindset. I was a language program director for nearly twenty years, and my primary focus was always, “Is the curriculum good? Are the classrooms adequate? Will the student be able to get from one class to another within the ten minutes they have between classes?” It was always about the student in the classroom context. Today, program administrators have to worry about where students are going to be housed. We have to think about how we’re getting students to and from the airport. You have to think about the kind of service you provide to students because they’re going to go home and directly compare their experience to somebody else’s. If someone says, “I had a great time in the classroom, but they never picked me up from the airport,” and someone else says, “I had a great time in the classroom, AND they picked me up at the airport,” which one is a prospective student going to consider? Administrators have to make themselves available to the students now in a way that they weren’t before. The concept of student services is relatively new in language programs. Here at Temple we have several members of a student service team who are there available to students 24/7. If someone needs a shoulder to cry on, student services are there. I don’t think that was the case in the past. Evo: Is there anything else you’d like to add about how a concierge experience serves as a differentiator in this competitive space? MM: I don’t think that we at Temple are doing anything different from others in the industry. I think we are simply keeping abreast of trends in the marketplace. What differentiates us from the others in the industry–and again, we’re not the only ones doing this–is simply listening to students and recognizing that each one is an individual with their own life and context and experiences that you have to be able to navigate. Does this make a difference? Yes. Recently, we had a student who came to Temple and discovered, the day after he arrived in Philadelphia, that he had a brain tumor. We were with that student from the second he received that news – we actually drove him to the hospital for surgery. We were with him 24 hours a day until his fiancée came, because someone simply had to be there for him, and if it couldn’t be family it had to be us. He actually stayed for several months after his surgery and chose to continue his Temple experience after he recovered, so I think we did something right that time. That’s the kind of story that I like to tell: When students go through emergencies, we have enough of a support system around our student body–both in the language program and in the regular matriculated student body–so that the students can feel confident knowing that we are there to support them, regardless of what happens. That goes a long way towards making the student and their parents comfortable, and if the students are comfortable, then they will have a more positive learning experience. 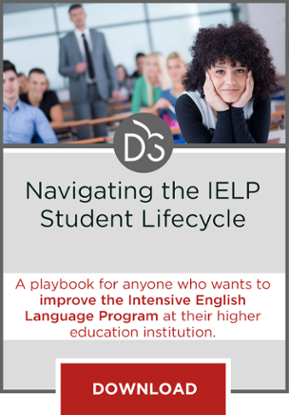 By asking, rather than telling, students what they need and offering concierge-style service, IELP providers can successfully grow enrollments for short-term language courses. Providing students with a reliable student support system can enable IELP programs to build positive student relationships and incentivize students to study in the US on a longer-term basis. Students aren’t the only stakeholders: IELP programs have to consider the needs and priorities of parents, academic agents and domestic universities as well. Offering government-vetted, campus-oriented English language programming goes a long way towards putting minds at ease.